Shoreline Medical Spa offers an array of aesthetics services in a comfortable and relaxed environment, a range of advanced aesthetics services are available. Whether you’re looking for the benefits of simple facial treatments, want to slow the signs of aging, are curious about injectables, or would like to explore laser therapies, at Shoreline Medical Spa can help you define and achieve your goals. Dr. Jeffrey Goldblatt is a retired general and vascular surgeon now specializing in aesthetics services. Treatments are performed using the best available platforms, and proven techniques that deliver amazing results. 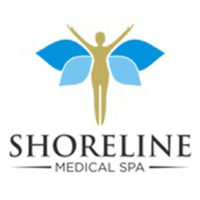 Shoreline Medical Spa believes every client is unique and the staff will treat each client on an individual basis. The practice provides the most advanced, non-surgical anti-aging treatments for both women and men, so you can look and feel your best. If you’re curious about the latest aesthetics treatments, schedule an appointment at Shoreline Medical Spa to explore the available options. You’ll discuss your overall health and wellness as well as your aesthetic goals. Call for a free consultation. Online scheduling is available, or you can simply call the office to check appointment availability. "Great doctors, staff, and accommodations! They explained thoroughly about what they were doing and overall, maintained great professionalism throughout. Very happy..."
"Go see Dr. Goldblatt at Shoreline Medical Spa. Very pleasant to go there - not just the aestheticians, but the staff in general are knowledgeable about the services." "Comfortable rooms, and the staff and estheticians work so well together. Overall, Shoreline is worth my recommendation."